The number one most requested game from you guys was for me to play what is considered the hardest puzzle game. 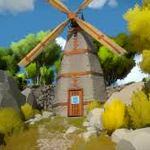 The Witness! It was a blast to play and it was ohh so pretty.